We’re sorry, but this tour is closed until further notice due to forest fires. Brought to you by EBL Zipline Tours, Zip Yosemite Tours was an experience to remember with 4 ziplines, 1 suspension bridge, and 1 rappel lower station, each with its own characteristic of speed, heights roughly 100 feet off the ground, and breathtaking scenery. We hope that some time in the future, this course can reopen so you can enjoy this course once again. A special thank you to OAKHURST businesses for their support! 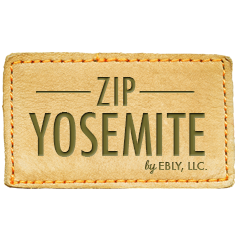 Contact EBL for specific questions about Zip Yosemite.